The 4.0 m (13.1 ft.) pick-up features special auger flights that go all the way to the middle. Attached to the 8000 Series Self-Propelled Forage Harvester (SPFH), the speed of the auger will be regulated automatically and is always in-line with the feedroll speed. 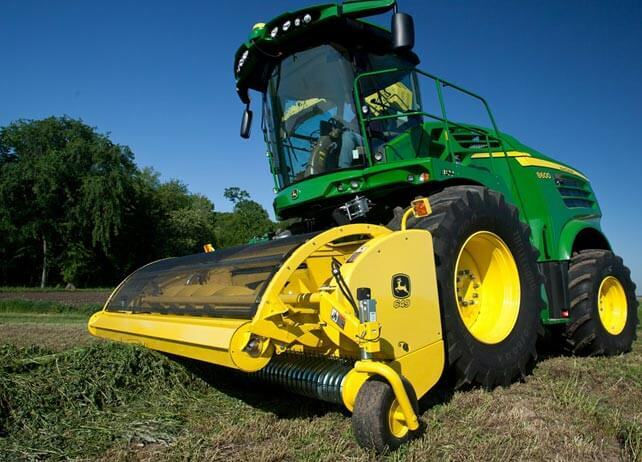 This provides unmatched crop retrieval and feeds even the largest SPFH at maximum capacity.